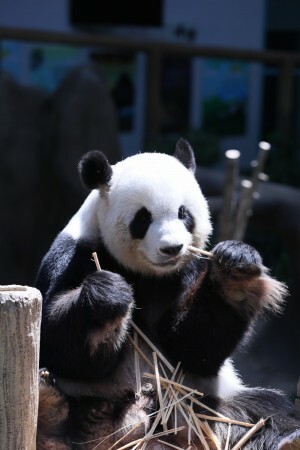 Kuala Lumpur: A female giant panda in a zoo here has given birth to a second cub, zoo officials said on Wednesday. The cub is the second born to giant pandas Xing Xing and Liang Liang, after Nuan Nuan was born in 2015. She was returned to China last November. A video released by the National Zoo of Malaysia on Wednesday showed the tiny cub being cared for by its mother Liang Liang at the zoo, reported Efe news agency. China loaned the cub's parents to Malaysia in 2014 as part of its so-called "panda diplomacy" initiative. Beijing sends the animals, which are native to the central mountainous regions in China, to countries worldwide as a gesture of goodwill, an initiative that began in 1984, when the species was declared endangered. Xing Xing and Liang Liang, known in China as Feng Yi and Fu Wa, were sent to Malaysia in 2014 to mark the 40th anniversary of bilateral diplomatic relations. As part of the deal, cubs born outside of China to pandas loaned by Beijing must be returned by the age of four. Malaysia was the fourth country in Southeast Asia to receive a loan from China to raise giant pandas. In 2016, the International Union for Conservation of Nature removed the panda from its list of endangered species and classified it as "vulnerable", due to the increase in its population over the past few years. However, the Convention on International Trade in Endangered Species of Wild Fauna and Flora continues to include the giant panda among its endangered species.